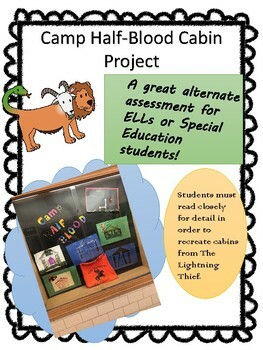 Are you looking for a way to assess your ELLs while reading The Lightning Thief? This is the perfect way to do it! 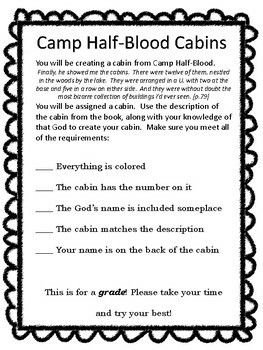 Students will each be given a short description of a cabin at Camp Half-Blood. 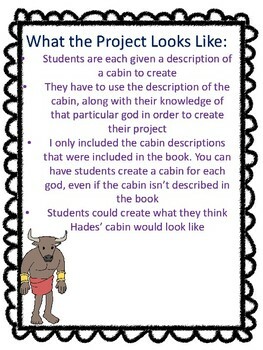 Using the description from the text, along with their knowledge of the Greek god that goes along with that cabin, students will create the cabin. This is a no-prep project! Just print and distribute! 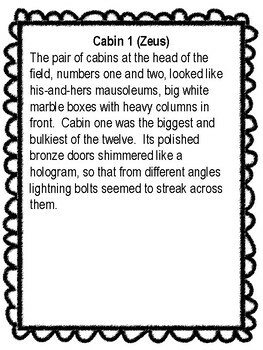 Students must read closely and pay attention to detail in order to create an accurate representation of the cabin.